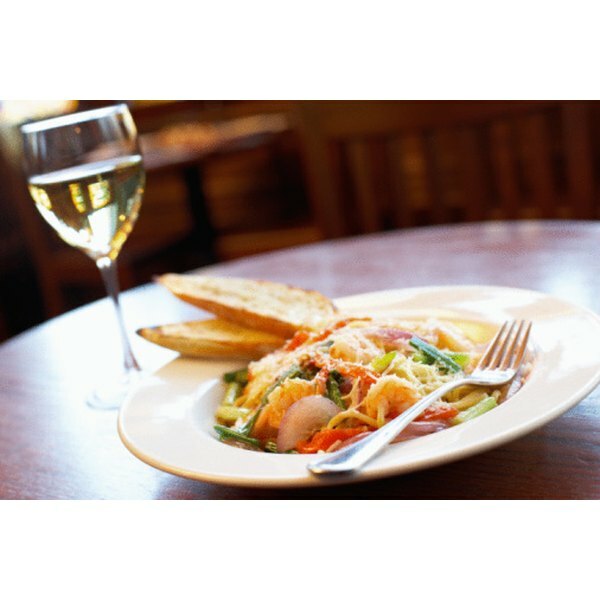 Try tossing your garlic butter shrimp with pasta for a new meal idea. Shrimp in butter sauce is a fast recipe that uses just a few common ingredients. This dish only takes about 10 minutes to cook, so it can provide a home-cooked meal when time is limited. Shrimp are also a healthy dinner choice because they are low in calories and contain about 18 g. of protein in a 4-oz. portion. Serve this dish with brown rice and your favorite vegetables for a well-balanced meal option. Heat the vegetable oil and 1 tbsp. of butter in a large sauté pan over medium heat until the butter has melted. Add the garlic to the pan and cook it for about 1 minute, or until the garlic is fragrant. Add the shrimp to the pan and cook through, which will take about 5 minutes. You can tell when shrimp are done because their color will change to the familiar pinkish tint and they will become opaque. Do not continue to cook the shrimp past this point or they will become tough. Remove the pan from the heat and add the remaining 2 tbsp. of butter. The heat from the pan and shrimp will melt the butter slowly, so it does not separate later. 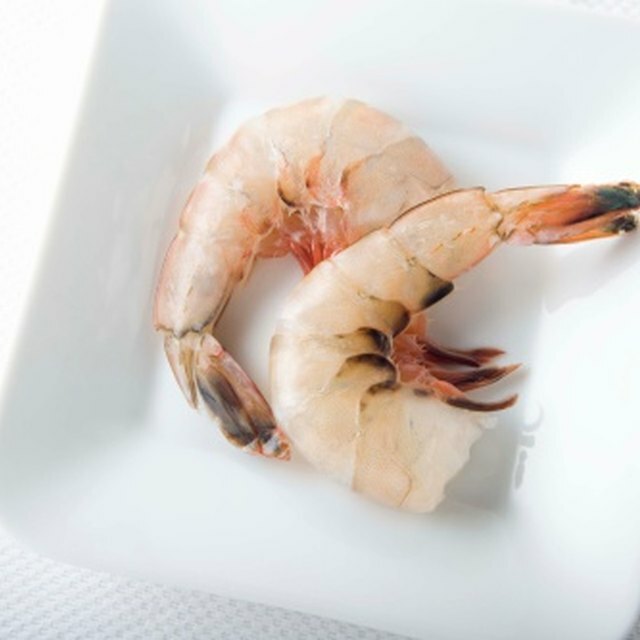 Shrimp are often sold by “count,” which means the average number of shrimp per pound. Shrimp labeled as large shrimp are typically 31/35, meaning there are between 31 and 35 in a pound. If you purchase frozen shrimp, defrost them in the refrigerator for 24 hours prior to cooking or place them in a strainer in the sink and use run cold water over them until defrosted. Pat the shrimp dry before cooking. Try adding 2 tbsp. lemon juice to the sauce at the end to give an acidic flavor to your shrimp in butter sauce. You can also add your favorite vegetables to the dish with the shrimp. Snow peas make a wonderful combination.